The hotel has a strategic location in Beijing's historic downtown area, close to the Forbidden City, Tiananmen Square, the National Grand Theatre, Wangfujing pedestrian zone and the ancient shopping street Qianmen. 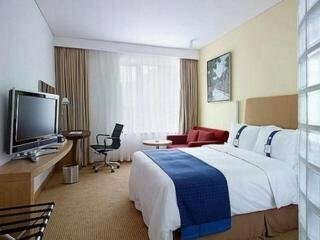 Stay in touch with complimentary wireless Internet and relax with a movie on the 32-inch LCD TV. Help yourself to complimentary hot drinks and mineral water to help you feel at home in your spacious 25-sq-metre Guest room. A mixture of Chinese and western fare at the complimentary breakfast buffet gets your day off to the right start. Enjoy a chilled beer at the bar after a days sightseeing. 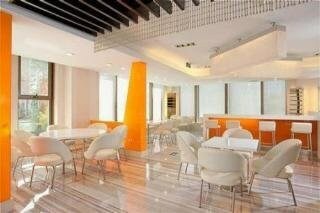 Enjoy a quiet yet central location close to the Forbidden City at Holiday Inn Express Beijing Temple Of Heaven. Well located for exploring. 2019 package holidays to the Holiday Inn Express Temple of Heaven, Beijing Prices are per person based on two sharing.